Longborough Festival Opera is a privately-owned country house opera in the heart of the Cotswolds. A uniquely intimate and characterful venue – which began life as a cow shed – Longborough Festival Opera has long been lauded by audiences and critics alike for their highly ambitious, world-class productions. This comes across in the tone of the website's design and copywriting; a careful balance of seriously sophisticated and warmly welcoming. 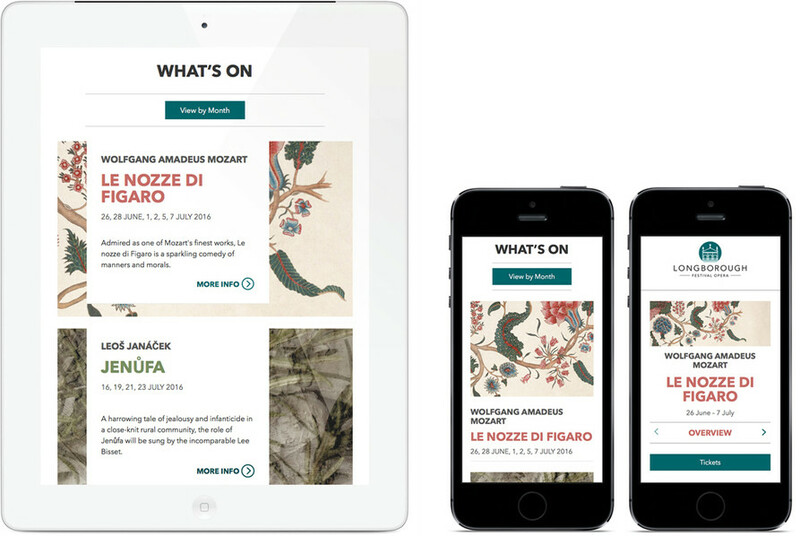 The website launched in 2016, in tandem with the venue's move to Spektrix. It allows memberships, tickets, and dining packages to be purchased online. 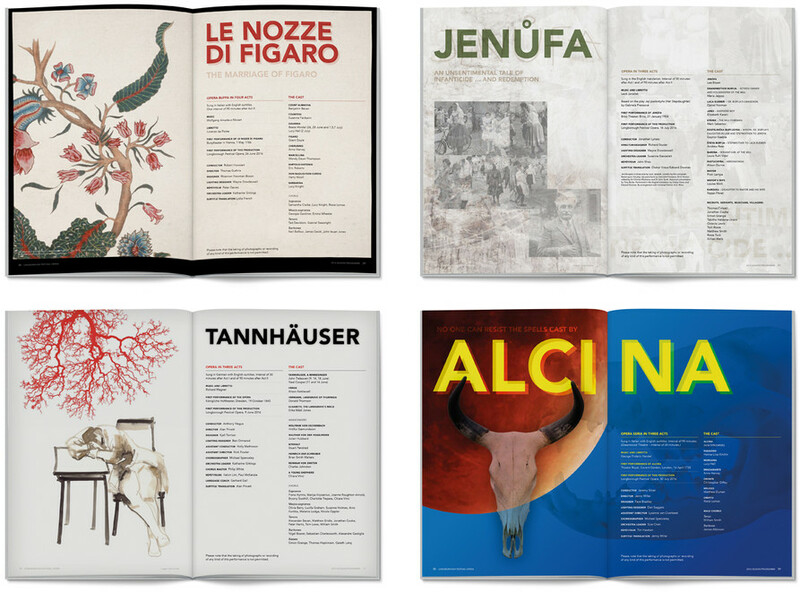 We also designed a series of printed season programmes – creating bespoke identities for each opera, to convey the character, themes, and tone of individual productions. These 100-page, perfect-bound books act as high-quality keepsakes for the audience. Supercool took our brief and created a website that exceeded our expectations both in terms of design and capability. We're not a technically savvy organisation but love the user-friendly and intuitive CMS.